20% reduction in rolling resistance, for up to 6% more kilometres. Plus the excellence of Michelin in safety and longevity. Tread that flattens out effortlessly against the road to save energy. A lighter casing to reduce rolling resistance. 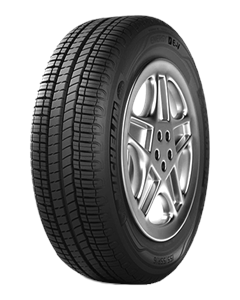 The self-locking sipes improve the tread pattern stability for optimal vehicle control. An extra flexible, multi-polymer tread compound ensures excellent grip on wet and dry roads. Sorry, we currently do not have any tyres with the Energy E-V pattern in stock.